Participate in conserving birds and their habitats. There are few quick fixes to solving conservation problems. Collecting sound scientific information and applying it to on-the-ground efforts is labor-intensive and costly. But the benefits are immeasurable. What would you contribute to know that bluebirds thrive in the Pacific Northwest or that Mangrove Cuckoos remain an integral component of the mangrove ecosystem in South Florida. If you would like to participate in bird conservation by helping support Ecostudies, there are several ways to do so. If you are interested in volunteering, check out our Work with Us page. We graciously accept donations through our secure Paypal account. (You do not need to sign up for a PayPal account to donate). Let us know if you want the donation to go towards a specific project once you are in Paypal. Please contact us if you have any questions about making a donation to Ecostudies Institute. $50: 1 tank of gas, 1 month of internet at our office. $100: 20,000 mealworms to feed translocated bluebirds in captivity or post-release. $225: One day of labor for biologists to track birds or purchase of 1.5 radio-transmitters. 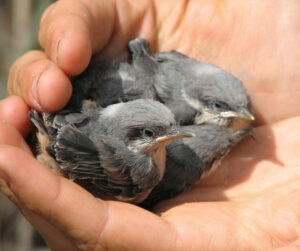 $500: Build one aviary for the Western Bluebird reintroduction project or purchase 3 mist-nets for capturing birds. If you prefer to contribute in a more tangible way, check out our Wishlist. These are items that are difficult to request in specific project proposals, but help us to be more effective and use our resources more efficiently. We are firmly committed to ensuring that all contribution are used to their maximum benefit for birds and their habitats. As a 501(c)(3) organization your contributions are tax-deductible. E-mail us for more information.